Proof yet again that the Canadian Tuxedo is indeed fashionable. 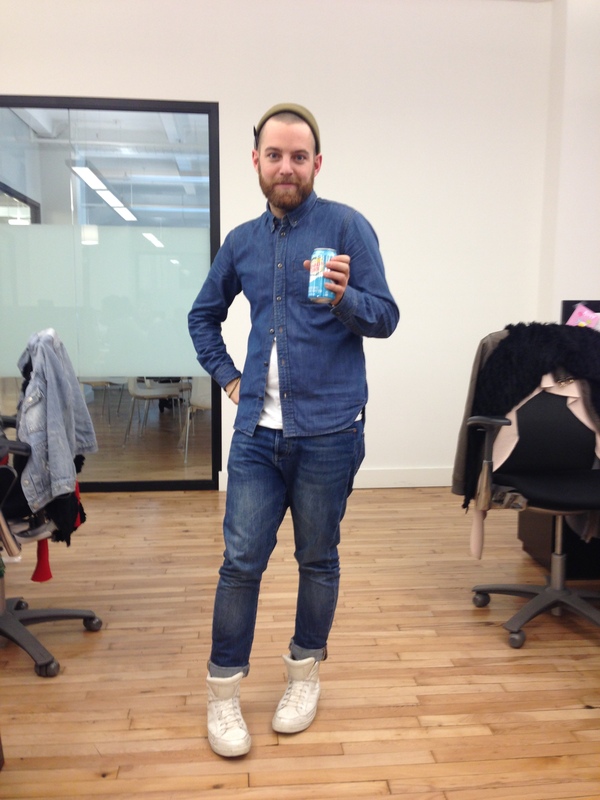 Here is Marc Jacobs associate Kevan Pike rocking some stylish double denim – all Marc by Marc Jacobs – at the Marc Jacobs Headquarters in NYC. We’re digging the Zissou-esque look that beanie seems to add (could be a stretch … we’re a bit Wes Anderson-obsessed over here). 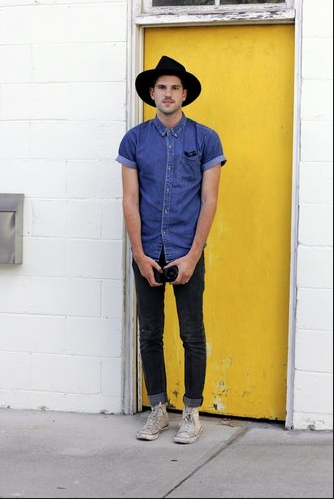 The New York Times just posted some pretty great Canadian Tux looks from around the globe. Check out the full slide show of double denim street style here. With the ever increasing popularity of denim – hell it’s even appeared on the runways of Paris Fashion Week via Chanel – Guest of a Guest takes a look at the many different ways you wear denim to just about any event imaginable, including this lovely Canadian Tuxedo. Denim in the City! Sarah Jessica Parker was seen last Friday in Manhattan rocking a denim trench and destroyed jeans with her signature look – one big cuff – walking her girls home from school. Like mother like daughter. Looks like little Tabitha was getting into the swing of things in a denim dress. Adorbs. As my dear friend Kevin Cothren, senior merchandiser Express Women’s Denim, loves to say, TYRA MAIL! I caught this vintage pic of the America’s Next Top Model glamazon draped in denim on the Huffington Post yesterday. Kinda wishing she was giving us some of her “smizing” fierceness.